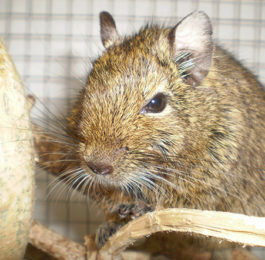 Like other rodents, degus are constantly chewing because of their ever-growing teeth. To keep your precious goos from chewing things like furniture or electrical cords, you need to provide them plenty of safe chewing material. 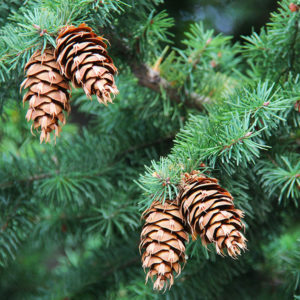 The most common chews for most exotic pets are wood. But, you have to make sure the wood you provide will not harm your pet. If you’re searching for safe wood for degus, this article will provide all the info you need on what to avoid and what’s non-toxic. The materials on the safe list are perfect to give to your degu as a chew, or to make toys and other enrichment activities from. When buying (or gathering) wood for your degu, make sure is it organic, has not been treated by pesticides, and cleaned of dirt (a vegetable brush and water is good for cleaning). The wood should not be chemically treated or painted. Food-based dyes are generally okay. 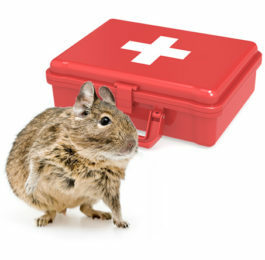 When it comes to caring for your degu, always err on the side of caution. If you don’t know what materials a toy or cage accessory is made of or if you aren’t sure if the wood is safe, don’t give it to your pet. These degu safe woods and materials are perfect for toys, chews, and accessories. Like this infographic? Get more degu care tips from Exotic Animal Supplies. These are woods and other materials that are known to be toxic to degus. Just because you do not see a particular wood on this list does not mean it is automatically safe for degus. 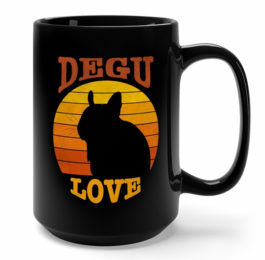 If it doesn’t appear on the degu safe wood list, do not give it to your goo.